Explanation: What are those bright objects in the morning sky? 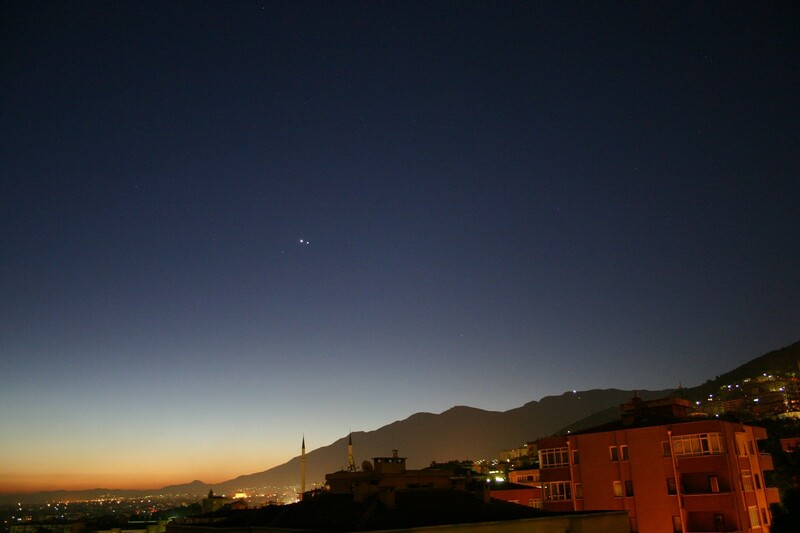 Early morning dog walkers, among many others across our world's Northern Hemisphere, have likely noticed tremendously bright Venus hanging in the eastern sky just before sunrise. Looking a bit like an approaching airplane, Venus holds its place in the sky and never seems to land. Last week, impressive but less bright Jupiter appeared within a degree of the Venusian orb, creating a dazzling sky that you might appreciate a bit more than your dog. This night sky early show will change slightly over the next week, with the planets moving past each other, Mars moving into the picture, guest stars like Spica appearing to shift in the background, and even a crescent Moon stopping in for a cameo. 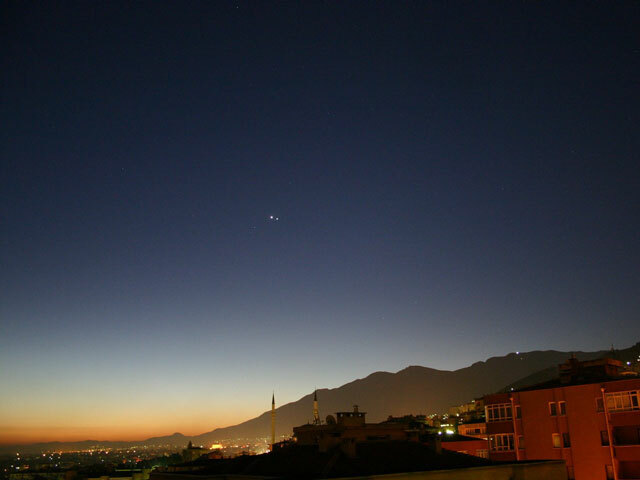 Pictured above last week, Jupiter and Venus were photographed rising before the Sun over the city of Bursa, Turkey.